The mission of the music ministry at the churches that make up the Hamakua Coast Catholic Community tries to involve people of all ages and musical skills. As part of the Music Ministry, one has the opportunity to impact the lives of people. The ministry is more than just singing songs and playing music. In addition to worship it involves discipleship and evangelism, all in the name of Christ. The music ministry leads people to worship God through singing songs of praise and adoration, leading to personal encounters with Christ. The ministry hopes to foster the biblical principle of discipleship through singing and, evangelically, it is hoped that the sung word of God reaches believers as well as those who have drifted away from Christ. Specifically, the Music Minister is responsible for choosing and leading the music that will be used at the Masses where the Music Minister is present. At those Masses where the Music Minister is not supplying the music - i.e. 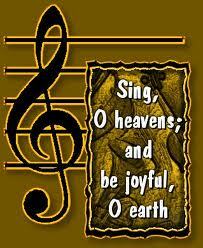 the 10:00 am Masses on the Third and Fourth Sundays of the month, the Music Minister's expertise may be called upon. 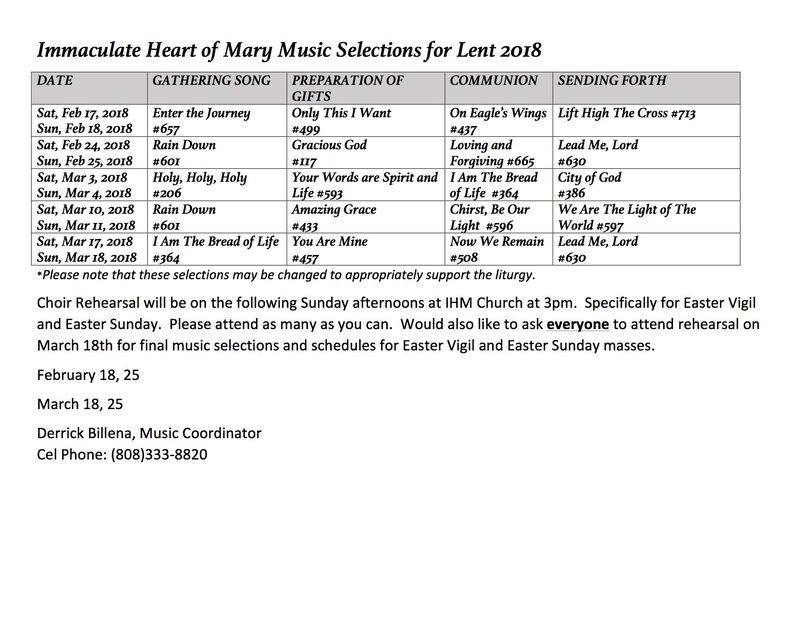 In addition to Sunday Mass duties of the Music Minister, the director is responsible for the seasonal liturgical music, especially during Lent, Holy Week, the Easter Season, Advent and Lent.